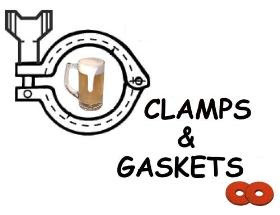 Clamps & Gaskets: News Roundup for Weeks 14/15, 2015. April 11: the purported birth date of King Gambrinus (1254-1298), considered the unofficial patron saint of brewers. Smithsonian Magazine publishes a story on the history of India Pale Ale (IPA). In a review, beer historian Martyn Cornell identifies at least twenty-five errors of fact and interpretation. The (U.S.) Brewers Association releases its 2015 Beer Style Guidelines. Adds categories for Session India Pale Ale, Contemporary Gose, Chili Pepper Beer, and Mixed Culture Brett Beer; deleted Indigenous Beer category. One-hundred forty-five in total (double that if all subcategories included. Robert E. Lee surrendered to Grant 150 years ago on this day (1865), effectively ending the Civil War. The Associated Press covered it then. —Via Associated Press (at Yahoo News). Your beer isn't as innovative as you think it is." Essay on trends in beer: "Trends are not necessarily a result of innovation." —Via Craig Gravina (at Drink. Drank.). 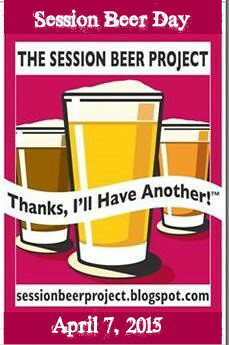 Session Beer Day is celebrated today. National Beer Day is celebrated today. But Prohibition did NOT end on this day in 1933. Fact check, please! The 100th anniversary of the birth of the great jazz singer/composer Billie Holiday. 7 April 1915 - 17 July 1959. 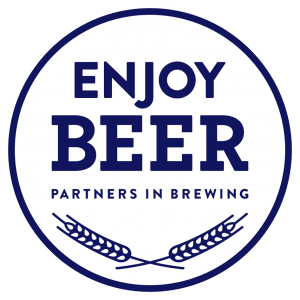 Abita Brewing (of Louisiana), the 21st-largest 'craft' brewery in the U.S., has been purchased by new 'craft' beer investment company, Enjoy Beer LLC, headed by Rich Doyle, co-founder of Harpoon Brewing (of Massachusetts), no longer with the brewery. The 122 oldest bars in America, still open and serving! Beer philanthropy. 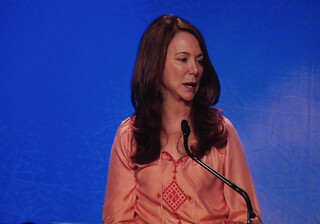 New Belgium Brewery and its CEO, Kim Jordan, give $1 million to Colorado State University for its Fermentation Science Program. "There’s a real cost of beer that is not measured in dollars and cents: brewery injuries. At its core, brewing beer is an industrial process. Like many other industrial processes ... There is real danger involved ... Between 2009 and 2012, four people have died in 'craft' brewery incidents." How a beer brand can die in two years: start with poorly designed product; finish with bad marketing. How Miller/Coors 'killed' Miller Fortune. Nielsen study shows 'local' rivals flavor as motivating factor for 'craft' beer buyers, especially among 21-34 year-olds. —Via Bart Watson (Chief Economist for (U.S.) Brewers Association. In face of historic drought, California governor imposes mandatory water reductions. The state of Maryland to legalize hemp production, but it's still illegal under federal law. Proposed USDA Dietary Guidelines under fire again from alcohol-prohibitionists. 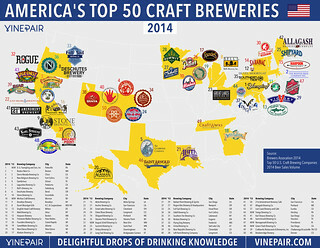 By sales, the top 50 breweries and the top 50 'craft' breweries in the U.S.
—Via YFGF (analyzing statistics from the Brewers Association). 'Craft' brewery purchases fellow 'craft' brewery. Colorado's Oskar Blues purchases Michigan's Perrin Brewing. Between 2009 and 2012, four people have died in 'craft' brewery incidents. Barbara Bergmann, a pioneer in the study of gender in the economy who herself overcame barriers to women in the world of academic economics, died on April 5 at her home in Bethesda, Md. She was 87. "Ms. Bergmann called for the government to do more in the marketplace on behalf of women and single-parent families, including support for increased access to day care and the passage of legislation mandating comparable pay for women and men." "In 1582, Pope Gregory XIII instituted the Gregorian Calendar, which moved New Year’s Day from March 32(really) to January 1. People who didn’t know that March 32nd was now April 1st and were still celebrating the old New Year looked pretty foolish that day, hence April Fools’ Day."